We are delighted to announce that The Temporary Kitchen Company has been awarded the Queen’s Award for Enterprise: Innovation. The award is the highest official UK award for a British business and husband and wife owners, Stephen and Emma Trollope, have been invited to attend a Buckingham Palace reception in the summer. Emma said: “We are so proud of what everyone associated with The Temporary Kitchen Company have achieved. A growing number of insurers are recognising the benefits of enabling people to remain in their own homes rather than having to relocate to hotel or rented accommodation. “Not only does it avoid massive disruption in people’s lives, there is also a substantial cost saving. “We have created a market that did not previously exist. Our products are both innovative and manufactured to a high specification, helping to give us a customer satisfaction level in excess of 99%. The Queen’s Awards for Enterprise are for outstanding achievement by UK businesses in the categories of innovation, international trade, sustainable development, and promoting opportunity through social mobility. 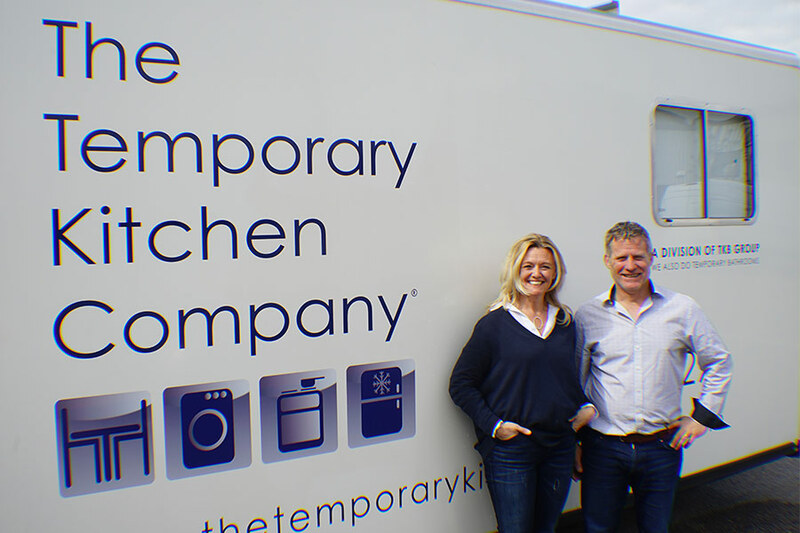 The Temporary Kitchen Company entered the insurance market three years ago and has achieved triple digit growth year on year for the last three years. The Queen’s Awards for Enterprise are the most prestigious awards for UK businesses and are globally recognised. Now in their 53rd year, the Awards have a long history of recognising exceptional UK businesses. The Queen’s Award to Industry, the scheme’s original title, was instituted by Royal Warrant in 1965, with the first Awards announced in 1966. It later became known as the Queen’s Awards for Export and Technology in 1975, before becoming the Queen’s Awards for Enterprise in 1999. Since their inception almost 7,000 companies have won a Queen’s Award.